Item description: Diary entry, dated 26 April 1863, by John J. Wythe, who served in Co. E of the 44th Massachusetts Volunteers. 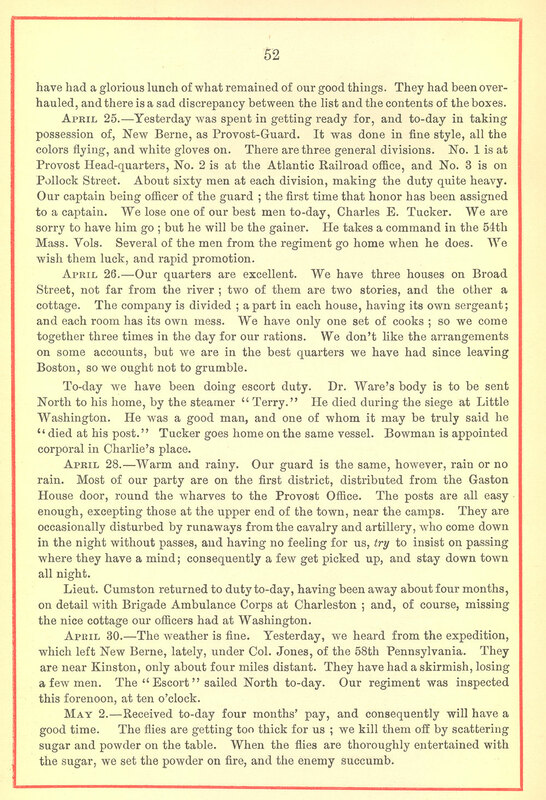 He describes his accommodations (a house on Broad Street) in New Bern, North Carolina, during the Union Army’s occupation of the city. Item citation: Wyeth, John Jasper. 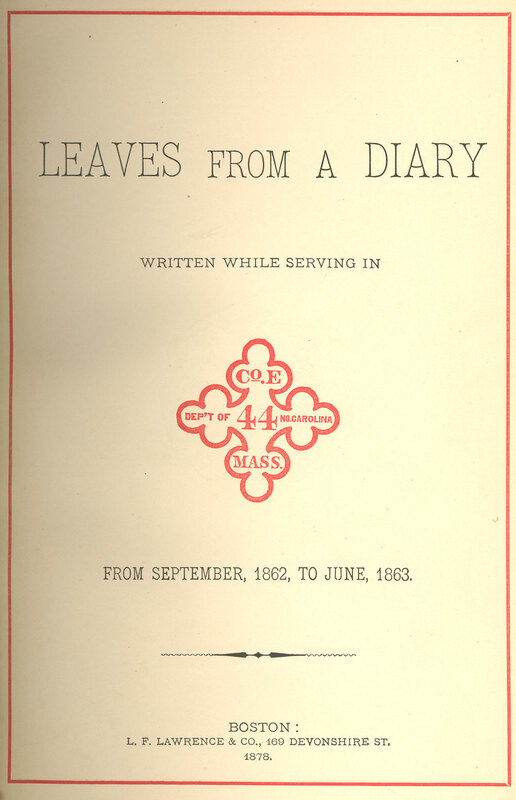 Leaves from a diary written while serving in Co. E, 44 Mass., Dep’t of No. Carolina, from September, 1862, to June, 1863. Boston: L. F. Lawrence & co., 1878. North Carolina Collection, Wilson Library, University of North Carolina at Chapel Hill. This entry was posted in North Carolina Collection and tagged 44th Massachusetts, 44th Massachusetts Infantry Regiment, diaries, diary, food, housing, John Jasper Wyeth, New Bern, North Carolina, occupation, occupied territory, published diaries, soldier conditions, Union occupation, Union soldiers, United States Army. Bookmark the permalink.